What is a Handheld Fetal Doppler? You may also have heard of a Doppler ultrasound to be used non-obstetrically. Doppler monitors can also be used to assess blood flow through blood vessels throughout your body in a clinic or hospital setting. 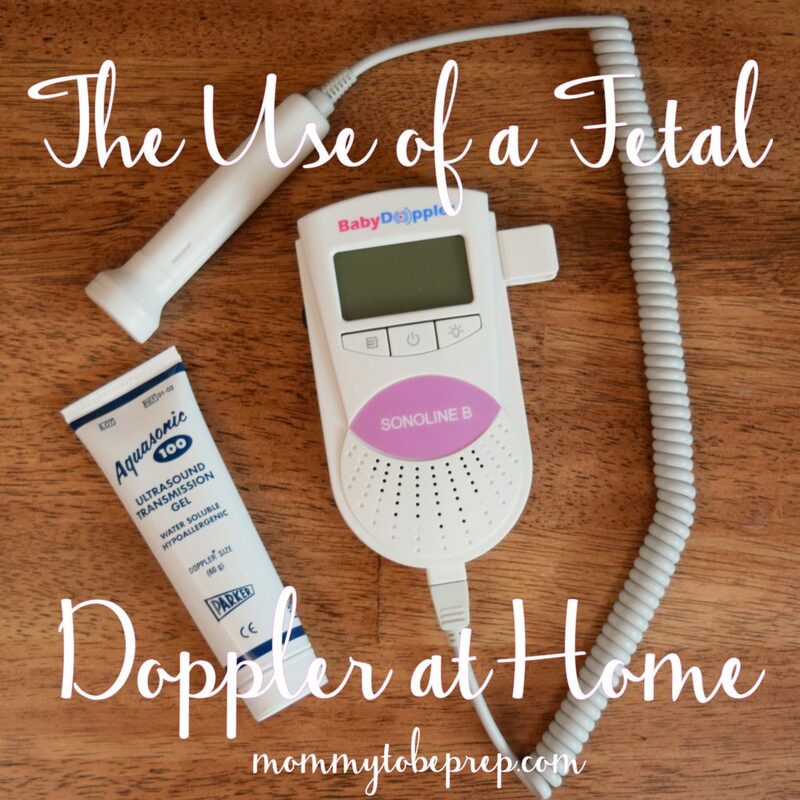 Why Use a Fetal Doppler? After accurately locating the best position for the Doppler probe, the monitor should emit the audible fetal heartbeat. Depending on your specific handheld Doppler, the fetal heart rate will need to be determined by either counting the rate with a timer/second hand watch or by simply reading the rate off of the screen. For example, counting the beats for 6 seconds and multiplying by 10, or even counting the beats for a full minute to determine the rate. Even with a handheld Doppler that populates the fetal heart rate on the screen, I still recommend comparing the beats to a second hand watch to confirm the correct rate. The audible evidence that you are growing a real human with a beating heart inside you can be exhilarating and provide encouragement to get through difficult days of morning sickness and fatigue. In addition, hearing your own baby’s heart beating may make the pregnancy more real to you or your family members, providing an additional way to bond with the unborn baby. Can a Doppler Cause Harm to Mom or Baby? The FDA claims ultrasound has had an excellent safety record and has been used for over 20 years. Ultrasound does not carry the same risks as other imaging systems that use ionizing radiation such as x-rays. Baby Doppler gives an 8 step process on just how to use your doppler here. The Sonoline B monitor came in a perfect small package including everything needed-the actual monitor, connecting probe, batteries, and ultrasound gel. I chose this handheld fetal Doppler monitor because it most resembles the Doppler monitor we use on patients at the hospital. My favorite part is the simplicity. The monitor has three buttons-the power button, a button to control the three modes, and a button to control the backlight. The speaker is clear with adjustable volume as well as a headphone jack. The probe that came with the monitor is 3Mhz, which worked well as I was able to find the little heart rate with ease!